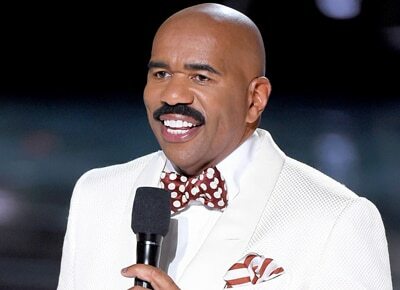 The TV host comments on the Oscars error last Monday, February 27. 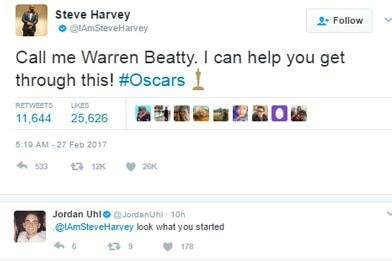 Amid his controversial mistake, Oscars 2016 presenter Warren Beatty found an ally in American host Steve Harvey. Steve took to his Twitter account to react on the viral incident involving Warren and Faye Dunnaway. Warren and Faye Dunnaway mistakenly announced the hit film La La Land as the Oscars 2016 Best Picture when it should've been the indie flick Moonlight. Many were quick to liken the incident to Steve's own "moment" in the Miss Universe 2015 coronation night when he also, mistakenly announced Miss Colombia Ariadna Gutierrez as the winner when it should've been Philippine bet Pia Wurtzbach. Unlike Warren though, it was Steve who immediately corrected his blunder. Even the official Miss Universe Twitter account wasn't able to pass up on the incident.